Remember in the 80's when the most exciting a Barbie got was if you got a horse with it? 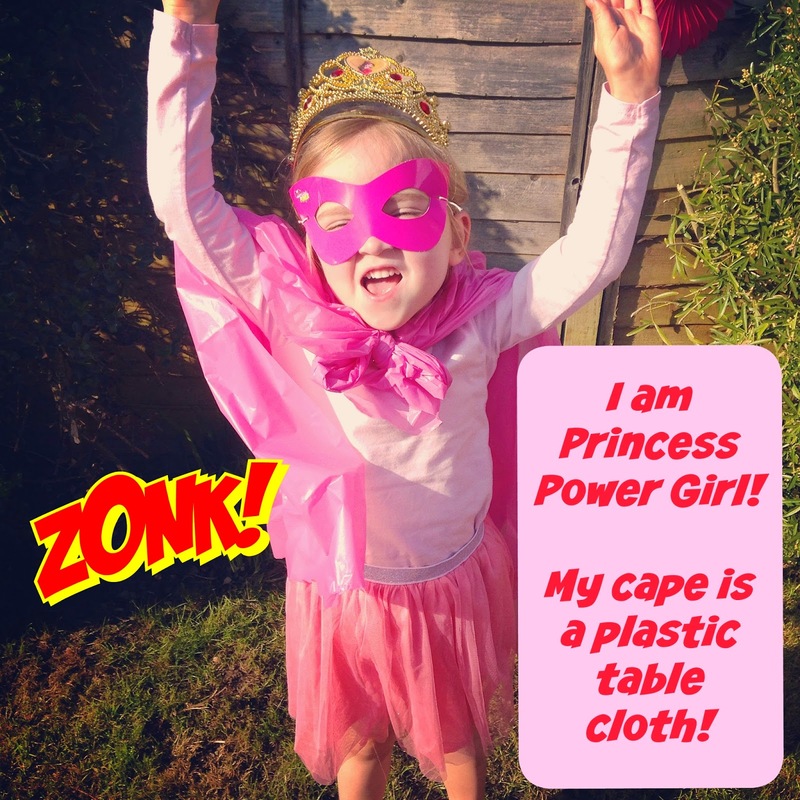 Well times have changed and she has upped her game and became the Super Hero 'Princess Power!'. 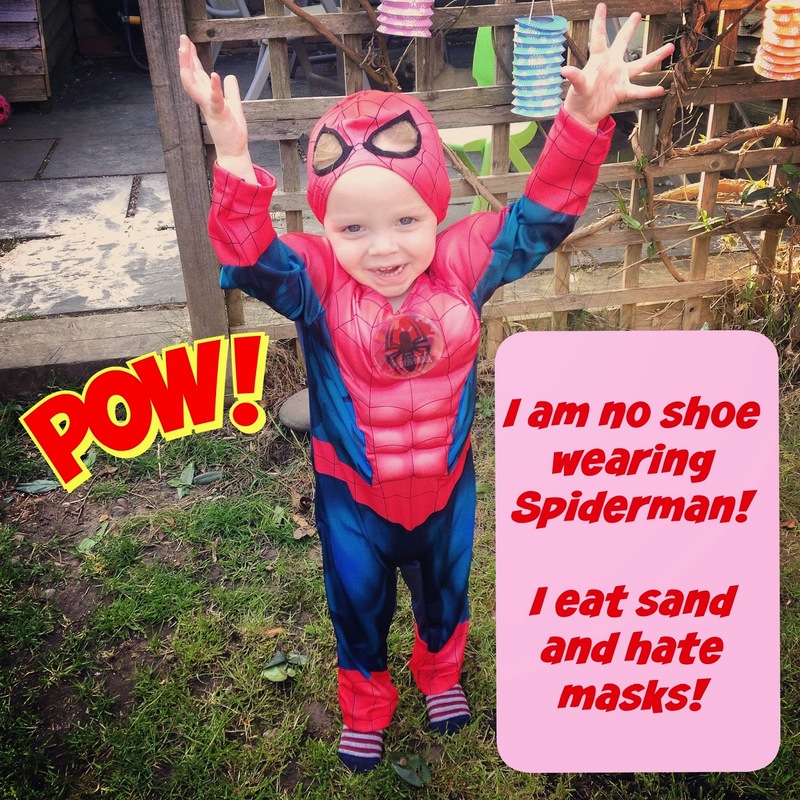 In honour of this and that today is National Super Hero Day (who knew?) a few days ago I threw a little party playdate. 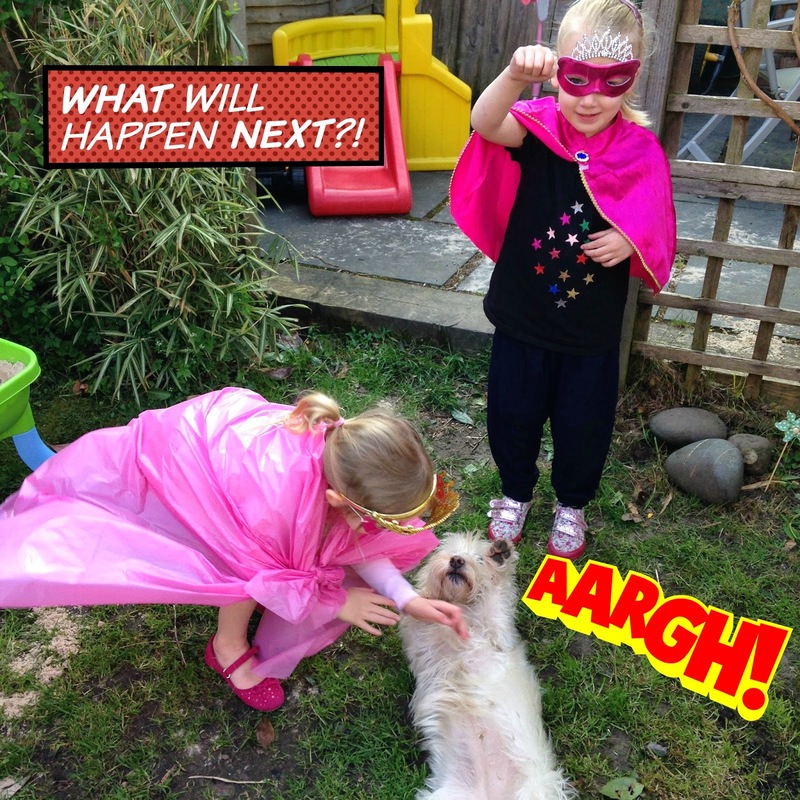 Complete with mini sausages and a Poundland cape (and no it is not a plastic tablecloth...ahem) for my own little superheroes. See what happened here* *Warning. May contain cheesy photos of my children that will make me happy when they are in their teens and hate me. 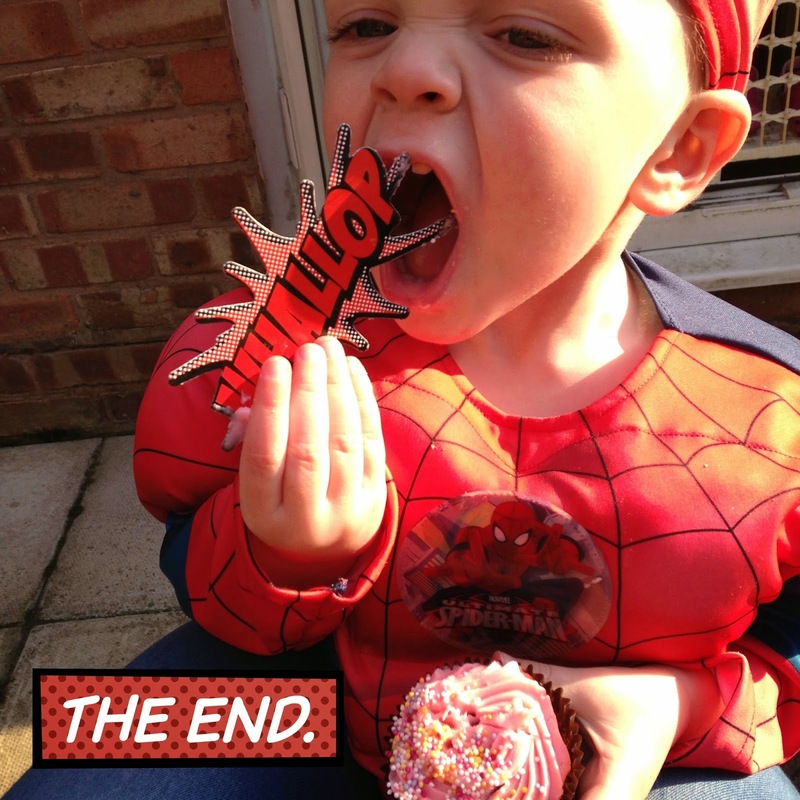 Behold a buffet fit for a Super Hero! Including mini cucumbers that no-one will eat! 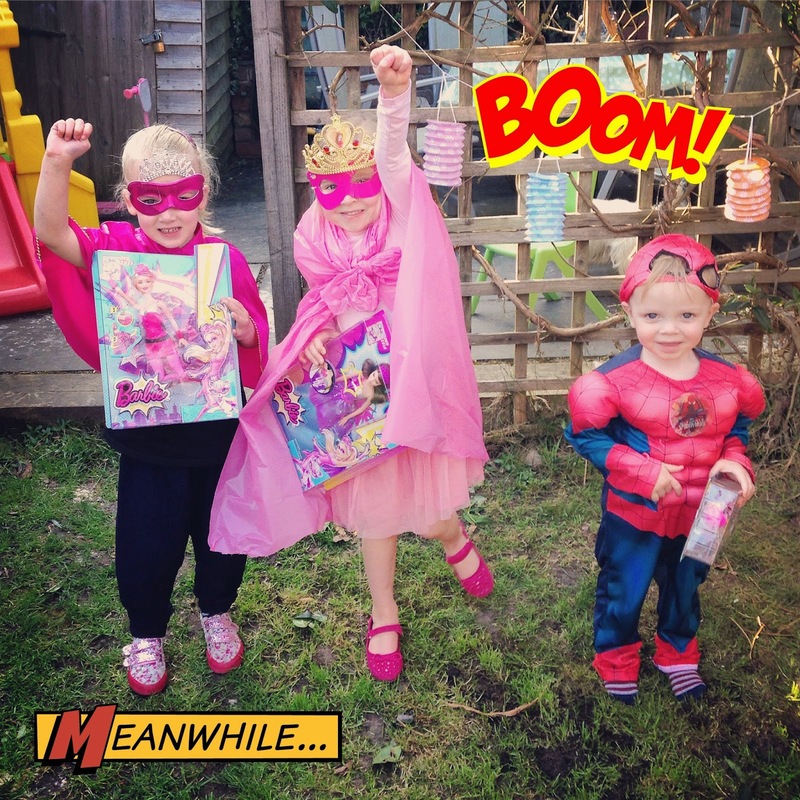 The kids had loads of fun and I kinda love new Princess Power Barbie. She can fly and do all the cool stuff that my girl wishes she can do. But whilst wearing a Poundland tablecloth as a cape? I don't think she stands much chance! To find out more about the DVD read our review of it here. Now whose your Super Hero alter ego??? I am 'in bed eating marmite on toast whilst wearing Primark pyjamas woman'! So don't mess with me eh? 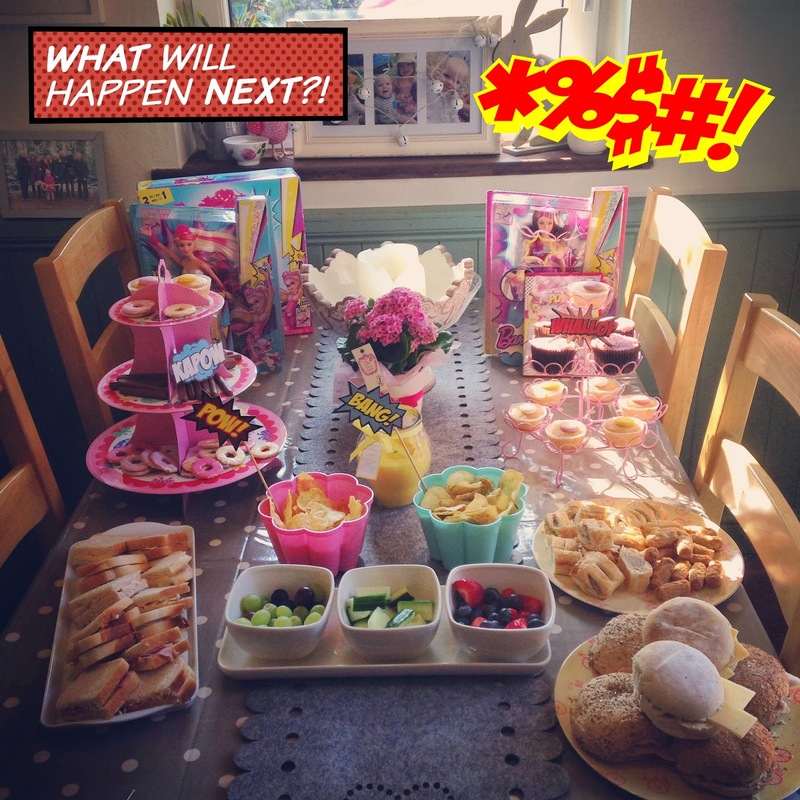 We were lucky enough to be sent some Barbies to throw this fab party!